Dokument! X automatisiert die Erstellung und Pflege von Dokumentationen für Microsoft .NET Assemblies, Visual Basic / VBA / VB.NET Quellcode, Datenbanken, kompilierte COM Komponenten und Typbibliotheken. Dokument! X erstellt automatisch komplette und genaue professionelle Dokumentation für Ihre Komponenten, Anwendungen und Datenbanken. Document! X is not just an automated documentation build tool - it includes a fully featured documentation authoring environment allowing you to supplement the automatically generated content where required. These sample outputs illustrate how much can be generated by Document! X right out of the box. All of the Document! X Templates are fully customizable and can be easily adapted or extended to meet your specific requirements. 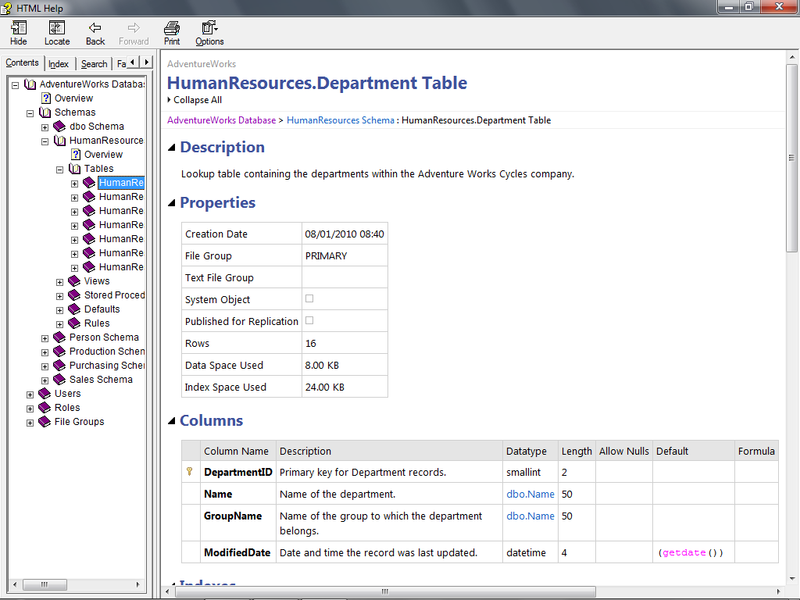 Page generated for a Table, including Properties, Columns, Indexes, Relationships and SQL Source (where available). Also includes dependencies if documenting a Sql Server database. 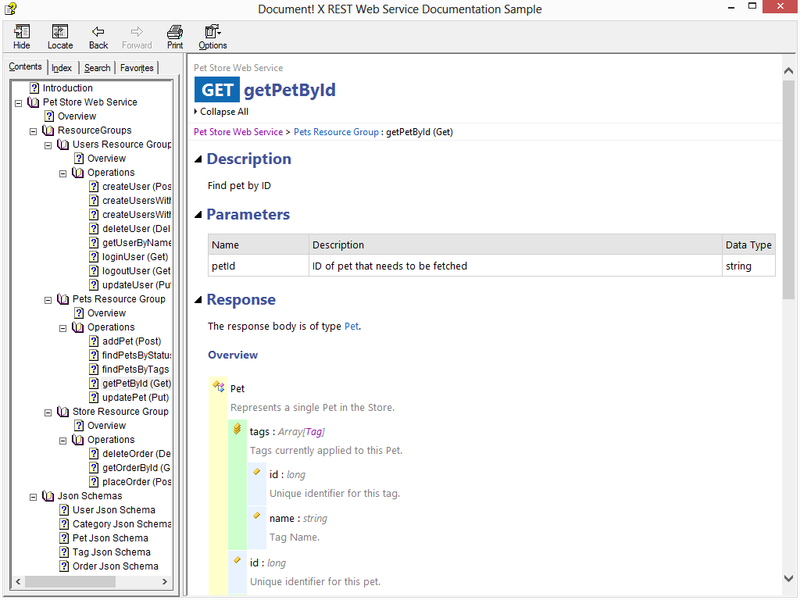 Page generated for a GET Operation in a REST Web Service. Details the parameters, request/response data types and any fault responses. Page generated for a SOAP Web Service method. Details the parameters, request/response data types and any fault responses. Schema diagrams are automatically generated for web service operations that use XSD Types and XSD documentation pages. 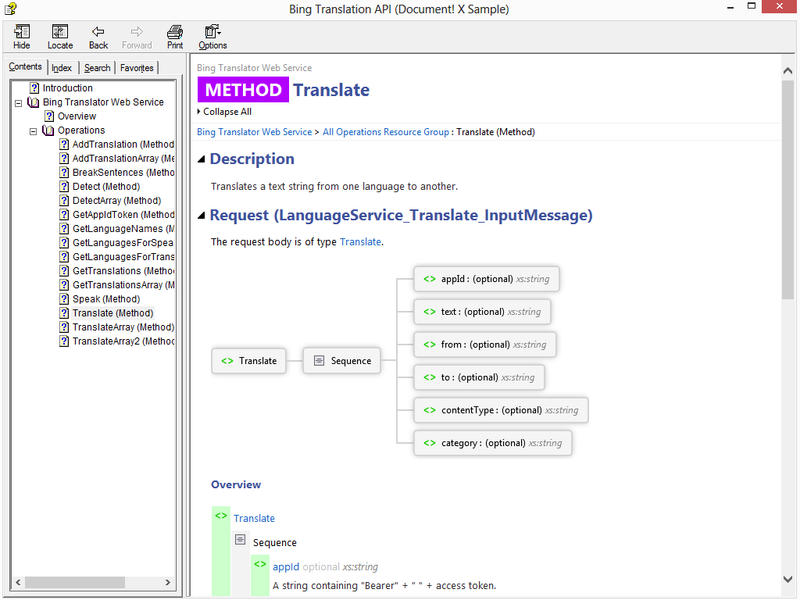 Overview of a .NET class, including an automatically generated Object Relationship Diagram, Inheritance Hierarchy and Syntax in multiple .NET languages. 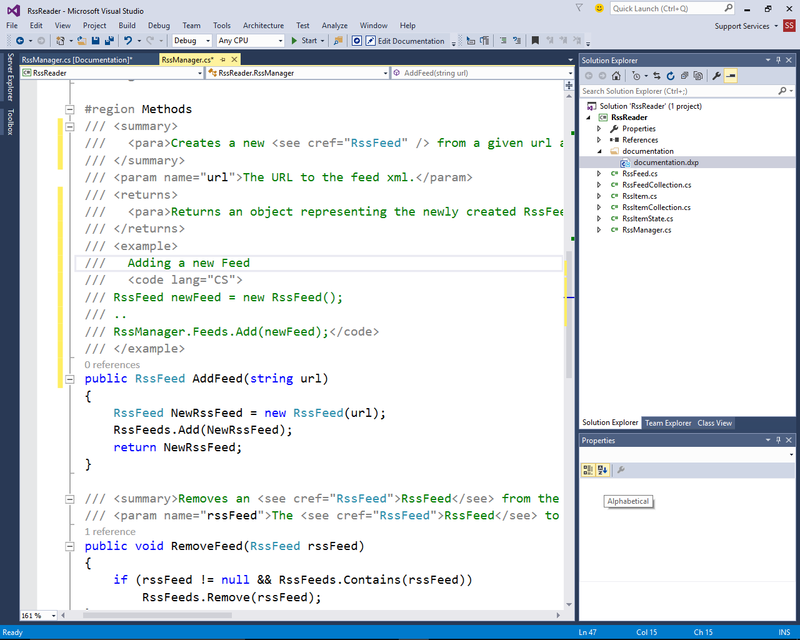 Page for a specific .NET constructor overload, including a link to the method summary page listing other overloads. Overview of the COM class, including an automatically generated Object Relationship Diagram. Page generated for an XSD Complex Type, including a type diagram, overview data tree and XSD Source Code. Document! X integrates seamlessly with Visual Studio® 2010-2017 . 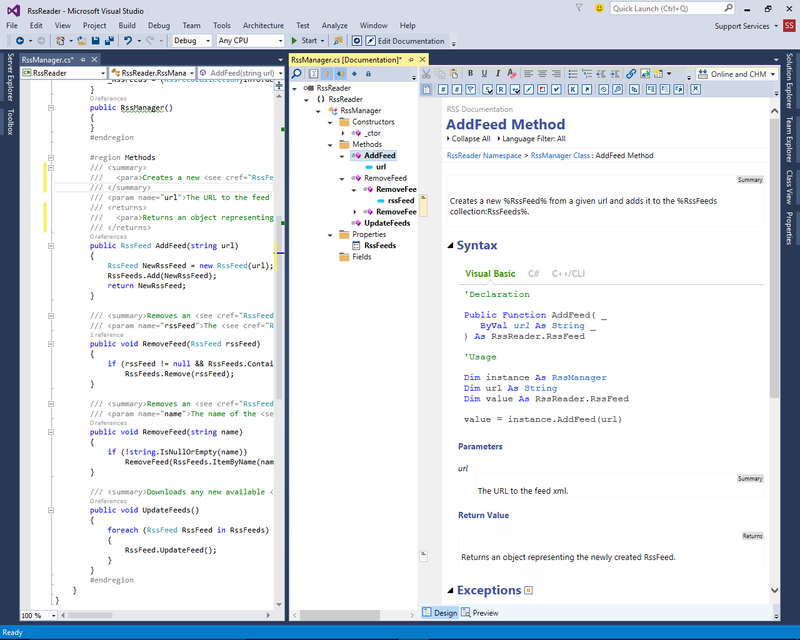 Documentation Projects can be created, opened and built directly from your Visual Studio solution. A Visual Comment Editor is included for creating and maintaining your source code comments in Visual Basic .NET, C#, C++/CLI and F# source code. Author and maintain your Visual Basic .NET, C#, C++/CLI or F# source code comments directly within a preview of how the generated documentation will look. The Document! X Visual Studio Visual Comment Editor provides a unique fully Visual Editor for your VB.NET, C# or C++/CLI source code comments, integrated directly with the Visual Studio IDE. The Visual Comment Editor allows you to create and edit Xml comments in a WYSIWYG preview of the generated documentation. Even though you can author your content in a fully WYSIWYG editor, comments created or edited with the Visual Comment Editor are written back to your source code in standard XML source comment format. Document! 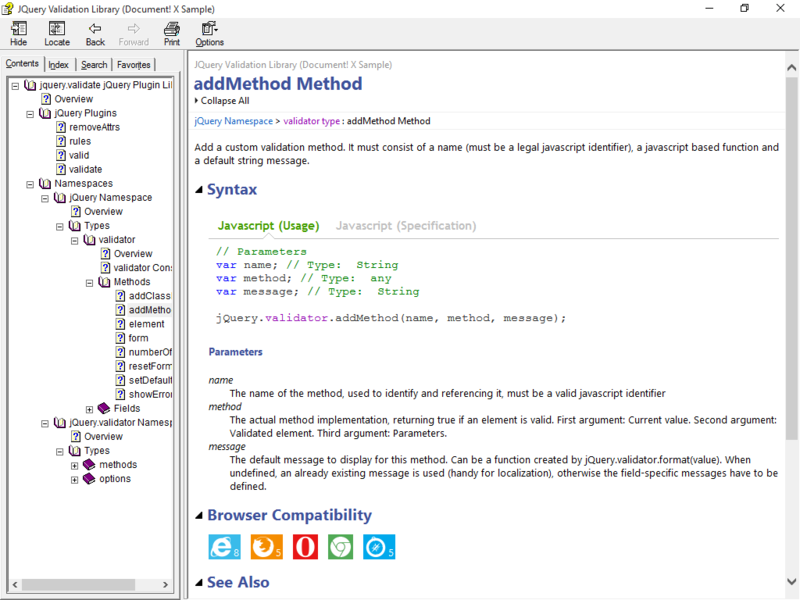 X can document assemblies created with any Visual Studio language. The Visual Comment Editor supports C#, Visual Basic, C++/CLI and F# projects. 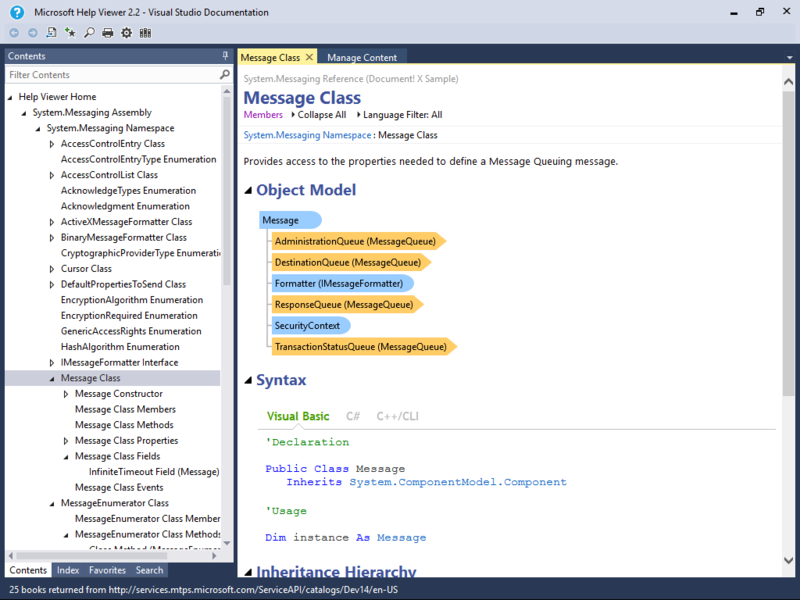 Build your documentation projects directly from Visual Studio. Integrate Document! X with your team build using the provided command line build .exe, msbuild task or Workflow activity. A new set of templates have been introduced inspired by the latest Microsoft Documentation style. These new templates introduce a simplified and fresh layout and typography featuring a frameless design with in-page Table of Contents navigation, a right hand action bar with automatic "In this Topic" support and a page layout that is responsive to the available screen width. The new Templates are available for every supported documentation type. It is now possible to move and rename Other Files directly on the Project Explorer. References to the moved and renamed Other Files (e.g. images, Widgets and links) are automatically updated. To round off this new functionality, it is now also possible to create new Other Files folders from the Project Explorer. 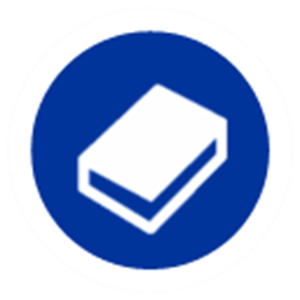 Source Control integrated projects are fully supported. 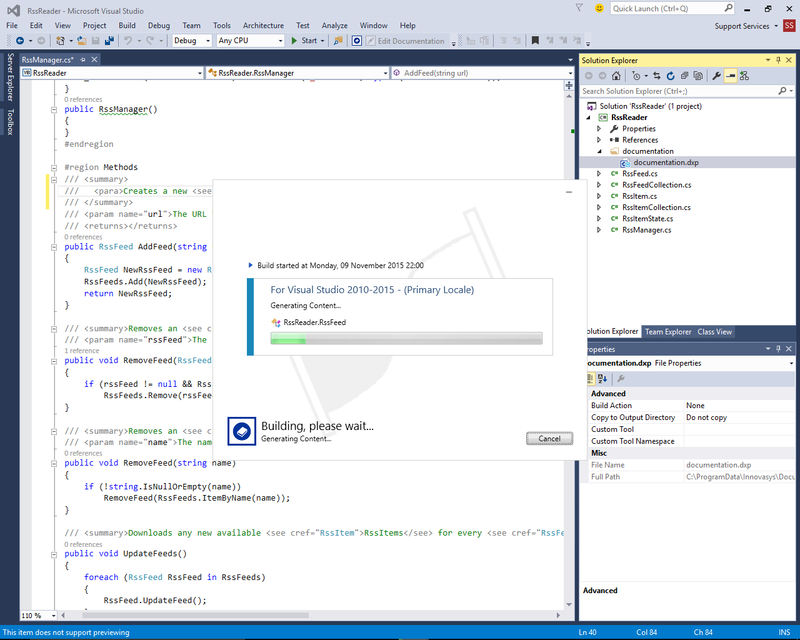 Integration with the release version of Visual Studio 2017 (all versions), including the Visual Comment Editor for authoring C#, Visual Basic and C++/CLI code xml comments. Support for Microsoft Help Viewer 2.3, the updated version of Microsoft Help Viewer included with Visual Studio 2017. Output that targets Microsoft Help Viewer will now automatically register with Microsoft Help Viewer 2.3 if it is installed locally, a link to view the generated output will be included in the Build Results and batch files will be generated with the commands necessary to deploy help to Microsoft Help Viewer 2.3 on other machines. The support for Copy to Clipboard in Colorized Example Code widgets has been improved and removes the dependency on Adobe Flash. Copying to clipboard now results in a subtle notification that appears beside the "Copy Code" button when clicked. The comparison table below outlines in detail the functionality present in Document! X, HelpStudio and the Document! X and HelpStudio Bundle so you can pick the product that is right for your requirement.